Interested in learning more about coral reef ecosystem management in your own backyard? Looking for a job that will provide solid hands-on resource management experience? Working towards building your career in natural resource management related to coral reefs? Want to be part of the next generation of coral reef conservation leaders? We did a guest blog on the All Islands Coral Committee featuring our Adopt-A-Reef initiative to help community and school groups start coral reef monitoring in their village. Then later, expand their village/ school activities to promote environmental stewardship that they think are best to spread their message. 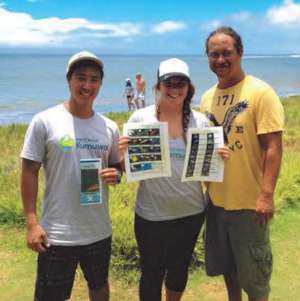 Check it out: Adopt-A-Reef Initiative Begins on Guam. Explore the All Islands Coral Reef Committee’s blog to see how other areas in the Pacific are protecting their coral reefs and spreading awareness.